Losant Enterprise IoT Platform | Features & Services. The Losant Enterprise IoT Platform is an application enablement platform which allows enterprises to effectively build applications and create solutions that securely scale to millions of devices. Components work seamlessly together to transform real-time data from connected and non-connected devices into custom end-user experiences. Losant’s fully-integrated End-User Experiences functionality provides all the tools necessary to build completely custom and branded user interfaces and APIs. 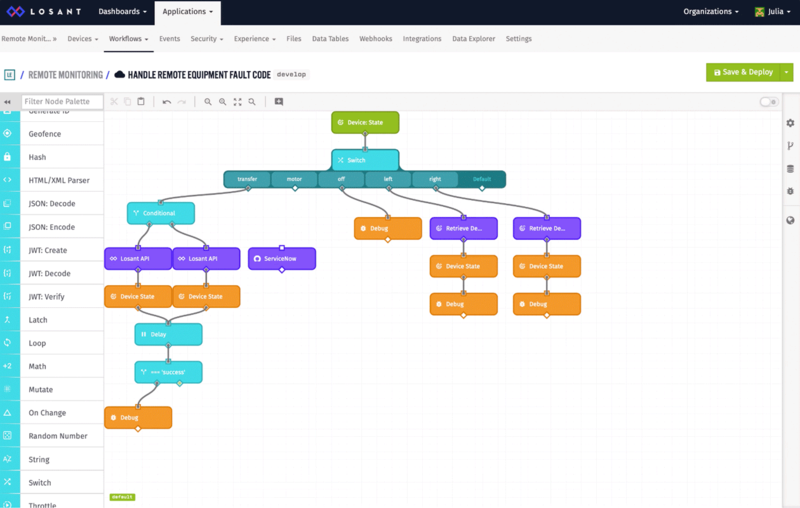 Losant’s proprietary Visual Workflow Engine is the fundamental component of our platform. This engine helps quickly implement business logic and provides a unified development tool. 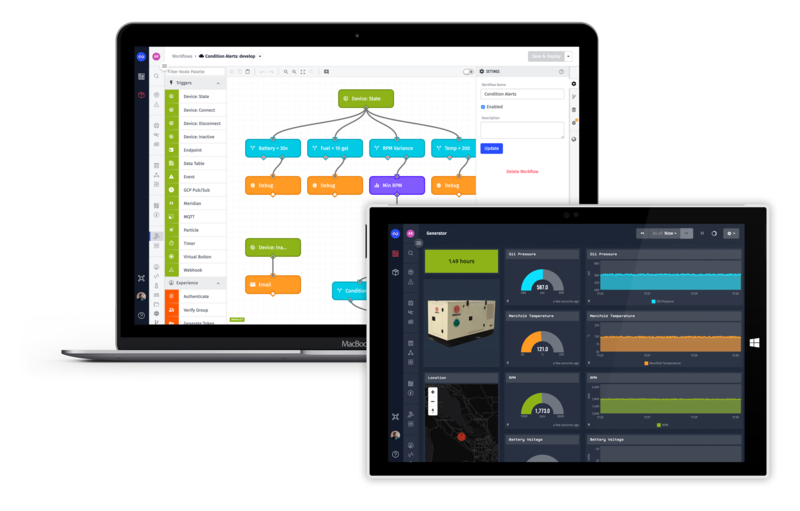 Losant’s Data Visualization provides easy-to-use drag and drop dashboards which connect directly to your device’s data. 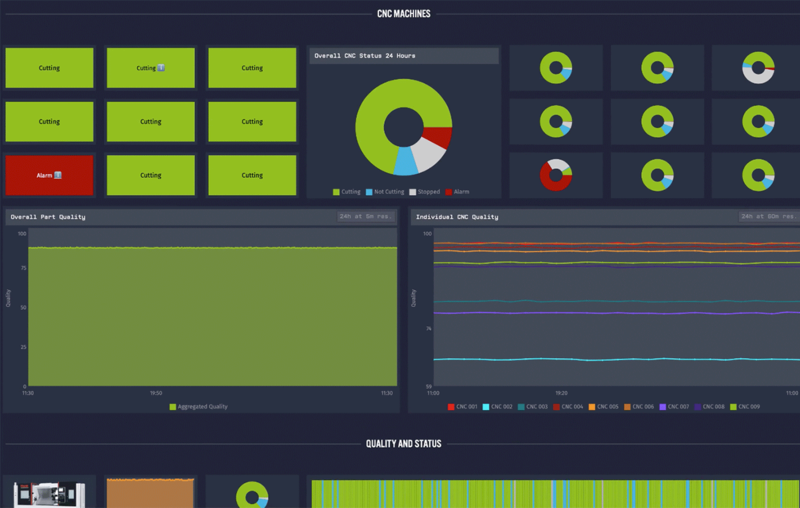 Securely publish dashboards internally or externally. Losant’s Devices and Data Sources functionality helps to normalize data and provides storage in Losant’s data warehouse for easy access and further application enablement. Losant’s Edge Compute bridges the gap between your local environment and the cloud by allowing workflows to run directly on your own gateways. Best-in-class security measures mean your data is secure using Losant. Whether you’re a developer looking for more information or a VP looking to learn more about our PoC process, the Losant team can answer any questions you may have. Choose your category in the box below and you’ll be on your path to IoT success. 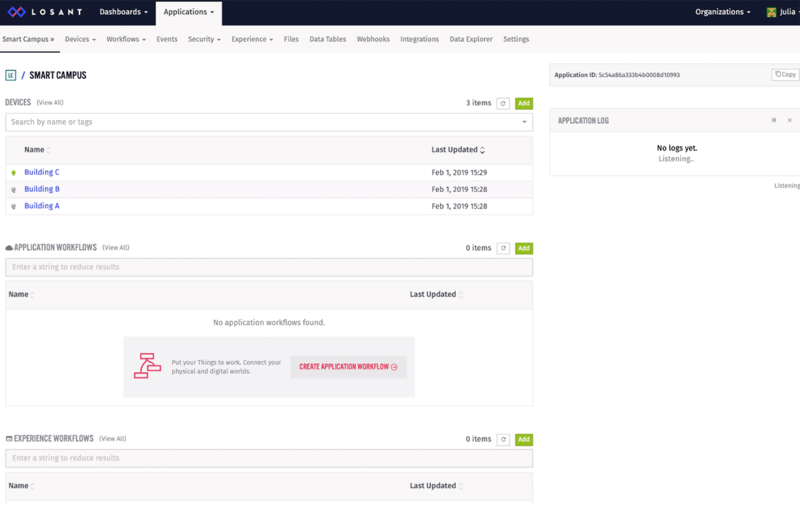 Learn more about the platform and how to build IoT applications using detailed documentation written by Losant staff. Create an account to gain access to product features for free. Build at your own pace with help from Losant University, documentation, and forums. It’s an opportunity for a fruitful dialogue about IoT solutions, you can see platform capabilities and your team of developers will experience the ease of use. Are you interested in Losant but need a second opinion? Review the MIT-E research report on the Losant platform. MachNation is a third-party analyst firm which evaluates IoT platforms against a set of standards.